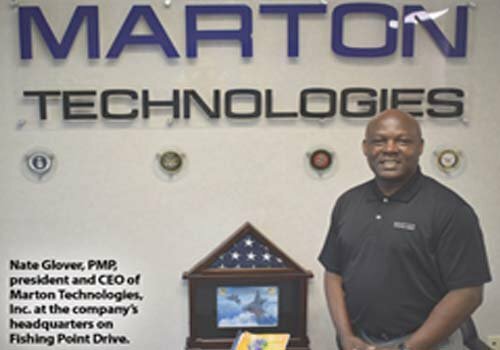 Marton Technologies was awarded its first Prime contract supporting the Naval Facilities Engineering Command Mid-Atlantic (NAVFAC MIDLANT). NAVFAC MIDLANT Environmental Services Department (ESD) provides timely and quality environmental services that allow its clients to operate effectively in compliance with environmental laws and regulations. 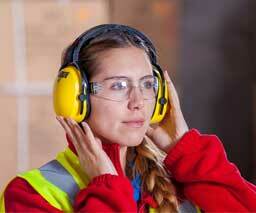 The Environmental Services Department is responsible for specific operations, such as: Asbestos Abatement and Insulation Services, Bulk Transport, Hazardous Waste and Material Disposal Operations, Industrial and Oily Wastewater Treatment Operations, Sampling and Laboratory Services, Oil Recovery, Pest Control, Spills and Emergency Response. Marton Technologies provided field and laboratory sampling and analysis technical support services to NAVFAC MIDLANT’s customers located at U.S. Navy facilities within a 50 mile radius of Naval Station Norfolk, VA. As the prime contractor, the company ensured compliance with Resource Conservation and Recovery Act (RCRA), the Clean Water Act (CWA), the Virginia Pollutant Discharge Elimination System (VPDES), and Hampton Roads Sanitation District (HRSD) discharge permits while performing services. 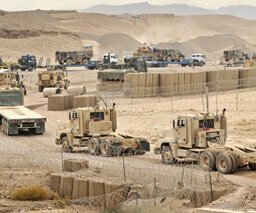 Marton Technologies was awarded a Prime contract with a base year and four option years by U.S. Army Mission Installation Contracting Command to support Fort Lee’s Directorate of Public Works (DPW) by providing field and laboratory sampling and analysis services for surface water, groundwater and wastewater. Marton will provide responsive sampling and analytical services to meet changing and surge regulatory compliance demands. Marton Technologies was awarded a contract with a base year and four option years by the Federal Aviation Administration (FAA) to provide technical, administrative and management services. Per the terms of the Statement of Work, Marton will assist the National Employee Safety Performance & Workers Compensation Division, (AHP-500), in developing fundamental elements of the FAA Occupational Safety and Health Program. 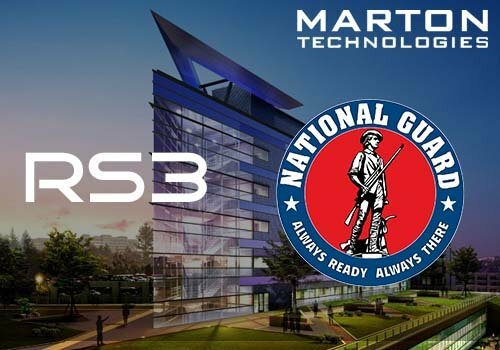 Marton Technologies joined Team Intecon to provide North American Aerospace Defense Command (NORAD)/United States Northern Command (NORTHCOM) Advisory and Assistance Services (N2A2S). 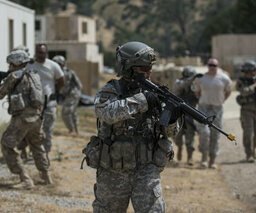 The contract will support directorates, special staff offices and other activities in support of various missions, and command, control, communications, and intelligence activities. This contract will support the development, execution and implementation of plans, programs, procedures, policy, and doctrine. Marton Technologies will also provide analytical assessments and evaluation of complex problems and make recommendations as to decision-making, management and administration of NORAD/USNORTHCOM processes in support of its mission. 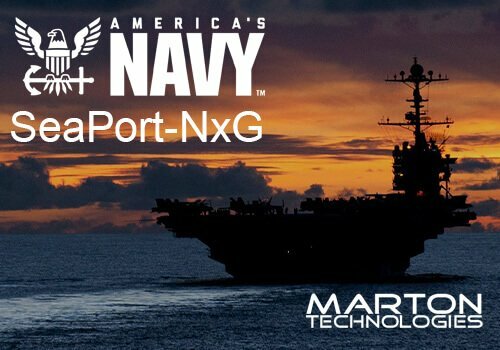 Marton Technologies was awarded a Seaport-e Multiple Award Indefinite Delivery/Indefinite Quantity (ID/IQ) contract which is the U.S. Navy's electronic platform for acquiring support services in 22 functional areas including engineering, financial management, and program management supporting Navy Systems Commands (NAVSEA, NAVAIR, SPAWAR, NAVFAC, and NAVSUP), the Office of Naval Research (ONR), Military Sealift Command (MSC), and the United States Marine Corps (USMC).